I received this book for free from Diversion Publishing in exchange for an honest review. This does not affect my opinion of the book or the content of my review. As one of the O'Rourke time-traveling Protectors, Colin O'Rourke is destined for one woman only. His instinct tells him he's found her when she wanders into his cousin's garden, but she's as enigmatic as she is charming. He vows to find her, but first, he has to deal with his professional life. He's about to take his matchmaking business overseas, but a prominent gossip columnist publishes a slanderous article about is company, threatening their success before they even open their doors. The columnist agrees to retract her article...if he can successfully match her stubbornly-single niece. Eleanor Carberry is content with her life as a London bookshop owner. She has everything she needs―books, tea, and an aunt who is more like a mother. With all her aunt has done for her, when she asks Ellie to try out an American matchmaking company, Ellie reluctantly agrees. When Colin and Ellie meet, they immediately recognize each other―Ellie as his soul mate, and Colin as the man from the garden. Colin's bound by contract to find Ellie an Englishman...and if he doesn't, he'll lose the business he's worked so hard to grow. Despite the distance he tries to keep between them, Fate has other plans when Ellie takes an unexpected trip back in time...once upon a summer night. Colin O’Rourke has made his share of mistakes especially when it came to spiting the fates and their will. He had to bear his punishment if he wanted to live. Now that he has succeeded, he also knows the consequences of not heeding their call. He is determined to make sure that no one is hurt because of his actions. Colin was born a protector of the family line of time travelers, and it is a life bound duty. Colin sticks with women that want no strings attached. He wants to be free and not burden another woman with his burden. But when he meets Ellie, he knows that she is his mate but refuses to claim her. He knows that the life he could give her would be hard to bear, being the mate of a time traveler protector is difficult and challenging and he wants more for Ellie than what he has to offer. I did like Colin quite a bit, but his stubbornness and the way he kept rejecting Ellie was painful and even though I understood some of his reasons, I didn’t get why he kept trying to hurt her even though it wasn’t intentional. Ellie has always felt clumsy and awkward, and has never quite fit in. She feels at home with her books and a good cup of tea. She has paved her way into the making of a bookstore and loves sharing books with others. But it can also be very lonely. She was burned when a man that was titled, ruined her reputation through scandal and she hid away for years from it. But when her aunt convinces her to try out this match making service, she agrees if only to make her aunt (her only living relative and family) happy. But from the moment she meets Colin, she feels a chemistry and a connection she never imagined. I truly adore Ellie, she is so easy to relate with. She loves books and doesn’t fit in as easily with others and she was such a strong yet sweet character that had so many endearing qualities. She fights for Colin when she realizes how powerful what they have is. I don’t understand your fear. I know your heart, Colin, because it’s a part of mine! I accept who and what you are. I truly admired her passion and zest and determination to not back down. Once Upon A Summer Night was a delectable read and once again I fell in love with this talent, this wonderful author keeps captivating me with her stories and I stayed up all night reading this one. 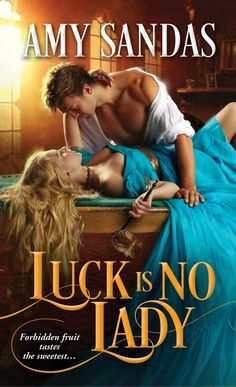 I just didn’t want to put it down and Nancy Scanlon writes enchanting time travel romances and she keeps making me fall in love with her characters and the adventures they have. Now this book has two settings….the first part of the story begins in the modern era. Colin has traveled to Ireland to set up his office for the extension of his business and this is where Colin and Ellie meet. Now at first, they don’t know each other and have no idea of what will bring them together but they share a unique moment that sets the stage for their story. Then we see them working together, which was quite fun. Colin is determined to set her up with the perfect man even if he knows she is his mate but chooses not to try to court or date her at all because of some inner demons he struggles with. But then Ellie and her friend get lost in the woods, and find themselves traveled back 500 years in Ireland. Where they meet up with some of Colin’s family, The family of our first couple which was so exciting to see their children and most especially their one daughter who I have a feeling will be a heroine in a future book in the series (I hope). Colin goes back in time after her, and some pivotal moments occur that deepen the relationship that is between Colin and Ellie. But also some painful moments happen as well. But I felt like this changed the relationship—for the better. You’re not just my soul mate, Eleanor Carberry. You’re the other half of my heart. It forces Colin to face his inner demons and realize what he would be giving up if he gives up Ellie. A truly heart warming romance that gives you a breath of fresh air. Not one to miss out on especially if you love time traveling romances or are intrigued by it!! I really love the summer feel to this book, with the soft yet golden colors and I do like the colors of his attire—its not a kilt, I can’t remember what the Irish called it back then but quite yummy looking on this model. And doesn’t the backdrop make you want to take a plane to Ireland right now?? I know I do. Once Upon A Summer Night is an enchanting love tale of adventures through time, discovering love and also fighting to keep to….the endearing characters that worm their way into your heart and a powerfully written story that keeps the reader enthralled!! MEMORABLE! Nancy adores all things misty, caffeinated, chocolate and grammatically correct. Currently, she resides in Puerto Rico with her husband, two small children, and two not-so-small dogs. When not writing, Nancy spends her time reading romance and watching too much HGTV.